Dillon Gallery is pleased to collaborate with the online journal of art criticism The Forgetory to present works from their third issue which explores the theme of Anxiety. Who among us cannot relate to the feeling of anxiety, that omnipresent fear of failure and rejection that accompanies almost every social action to some greater or lesser degree? As the digital performance of self becomes ever more fluid and manipulable, our real world interactions become proportionally fraught with anxiety. This dynamic is epitomized by the otaku, the obsessive who rarely leaves his or her room, fleeing the awkwardness of reality by taking refuge in fantasy. Perhaps we are all becoming a little bit like the otaku, as we increasingly eschew interpersonal interactions for more digital alternatives, such as texting friends instead of calling, ordering food and goods online, or opting for internet dating and clicktivism devoid of the unpredictability of in-person action. It would appear that anxiety is especially connected to the realm of the real, the body, and public activity, since we can never fully customize our IRL image the way we can online, and anyone or anything can impinge on our experience bubble when we are out in public. And so, when sitting in a bar waiting for a friend, one might cocoon oneself in the comforting glow of a smart phone. Or, picture the flash of fear and confusion on a busy stranger’s face when you stop them on the street to ask them a question. Anxiety today is a symptom of the unruliness of reality, which continually threatens to disrupt our carefully constructed façade of self-representation and our imagined narrative of lived experience. While it can be suffocating for some, anxiety can also serve as a catalyst for greatness, as we impatiently strive for whatever concept of perfection we hold dear. Like a tormenting muse, she whips us onward, daring us to be worthy of our own ideals and to transform our fantasies into reality. Therefore, we propose an alchemical exploration of anxiety: in what ways can it be transmuted or channeled in the name of art? What are the various manifestations of this societal malaise and how can they be subverted or resisted? And simply, what does it mean to be anxious in this day and age? Lucy Cottrell is a comedian, writer, actor, and multimedia artist. Her work has been featured in venues across the country including Solocom (2015), Funny Women Festival (2015), Andy Kaufman Awards (2014), Northside Festival (2014), Come Together: Surviving Sandy, Year 1 (The Beauty of Friends Coming Together), as well as in online venues like Jezebel and Reductress. Diana Seo Hyung Lee is a writer and gallerist based in New York City. 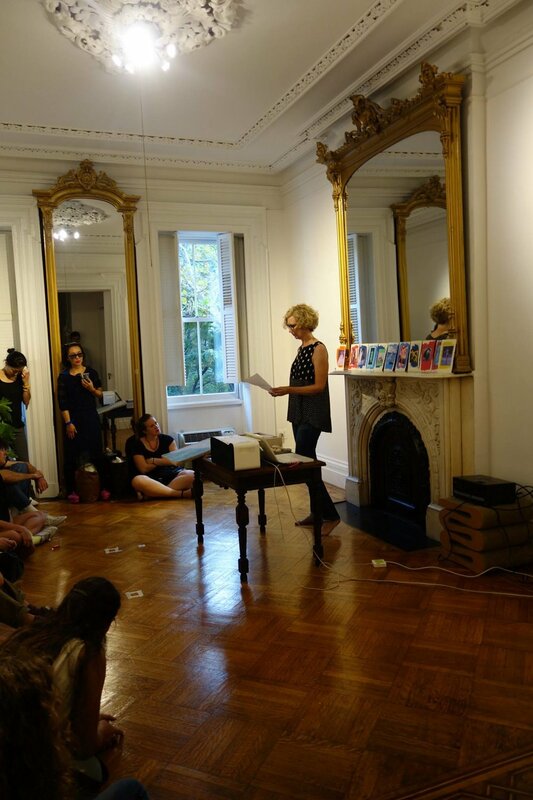 Her writing and translations have appeared in Flash Art, The Brooklyn Rail, ArtSlant, Degree Critical Blog, and ArtAsiaPacific. She received her MFA in Art Criticism and Writing from The School of Visual Arts in 2012 and BFA in Fine Art with a concentration in Sculpture and Printmaking from Cornell University in 2008. Sam Swasey is a writer and visual artist living in Brooklyn, NY. His interests include, but are not limited to, art and cultural anthropology. He has edited books of photographs, and his writing has appeared in a variety of publications. After living in Berlin, Germany where he worked in the arts, he moved to New York to pursue a Masters degree at SVA. He graduated in 2013 and received the Paula Rhodes Memorial Award for exceptional achievement in Art Criticism and Writing. 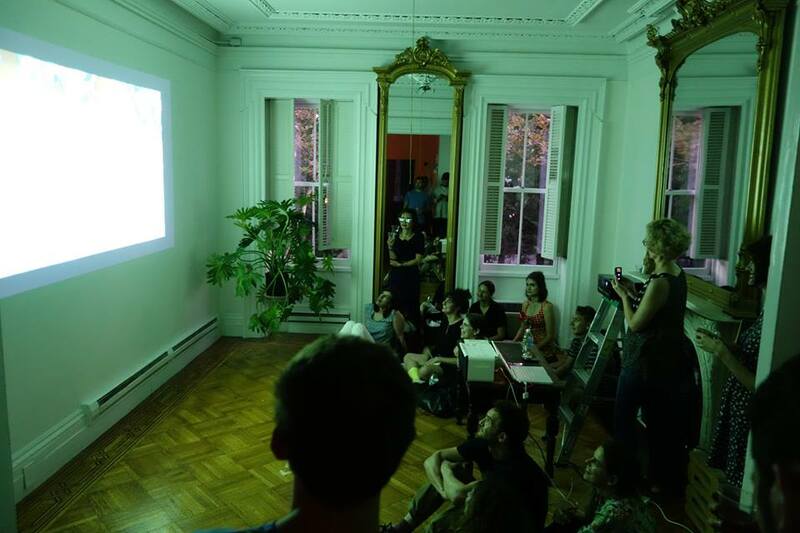 This event is presented as part of the Dillon Series, a cross-displinary platform that serves to promote collaboration and experimentation beyond the scope of the gallery’s established program and represented artists. The Forgetory is an annual publication of creative, audacious criticism devoted to these questions: Where do the fugitive correspondences in visual culture lie, and what can they illuminate? Which elements of our histories must we unearth in order to ground the present? Which written boundaries can and must be traversed when addressing a work of art? See more of The Forgetory and Anxiety here.